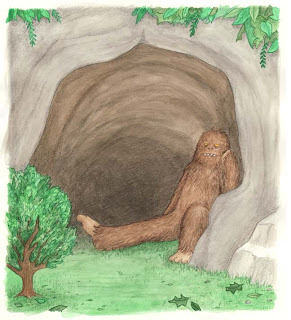 I've started working on a new children's book called Bigfoot in New York. When i started i was really excited. As time goes on i am less and less excited. I guess i was confident about it until i started the color pieces. I'm not sure if i should be doing them in a different medium (but i don't know what that other medium would be, so i'm sticking with watercolor for now). I'm almost done with the second picture, which might be coming out okay but maybe not. We'll see. I just had to post this so you would know i've been doing something. After a flurry of sales on wednesday, i found out i'd been featured on a few blogs! My new cards were featured here, and here. And my little foxes were featured here. All very cool sites, so check them out!